Born in Iran, in 1956, Hossein’s interest in art began at an early age. His first experiments were drawing free forms and carving them on stone and metal. Combining the free style with the influence of miniature painting gained him first place in a national student art competition. The award brought him a reputation as a young and talented artist and exposed him to communities of professional artists. His endless hunger to experiment with nature and people led him to explore a wide range of styles and techniques. His techniques unbound him from drawing the details of nature, and let him treat nature with spontaneity and motions. In his career as a professional artist, he has participated in more than 60 solo and group exhibitions and has created a rich collection of more than 2000 oil and watercolor paintings. 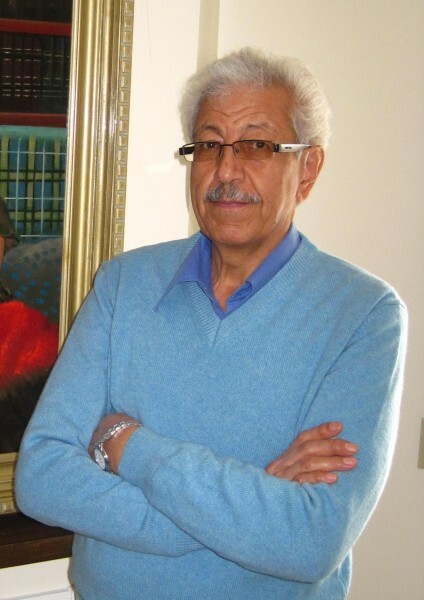 In 2006, he was recognized as an Iranian Famous Artist and two of his works were published in The Glory of Persian Watercolor, Negar Book (in Farsi and English, ISBN 964-5520-96-7). In 2008 Hossein immigrated to Canada, bringing with him over 45 years of artistic experience. Soon after his arrival his work was recognized by the Federation of Canadian Artists in Calgary and Four of his works won first place in FCA group exhibitions. He was selected among 100 artist to receive “Artevo Best Artist/Painting(s) Award” during the FCA’s 30 Year journey in Art Exhibition.